These worked great. They integrate with the SMART notebook software, so they require a bit of tweaking when entering an assessment. SMART notebook, even with math tools, requires entering any equations again… even if they were imported from Word or a google Document. Anywho, after entering the class information in the Teacher Tools, the kids were all able to login and get started in under 3 minutes. FIRST TIME FOR ALL OF US. 3 MINUTES! Amazing. Going through the questions afterward was nice too, a nice pie graph shows up and lets you know if you should skip or stay on that questions. No longer will the army of quiet kids who get stuff wrong go forgotten! Overall I liked the clickers and how the assessment turned out. It was a quick review assessment, and it did well for me to see what needed to be covered and what didn’t. p.s. 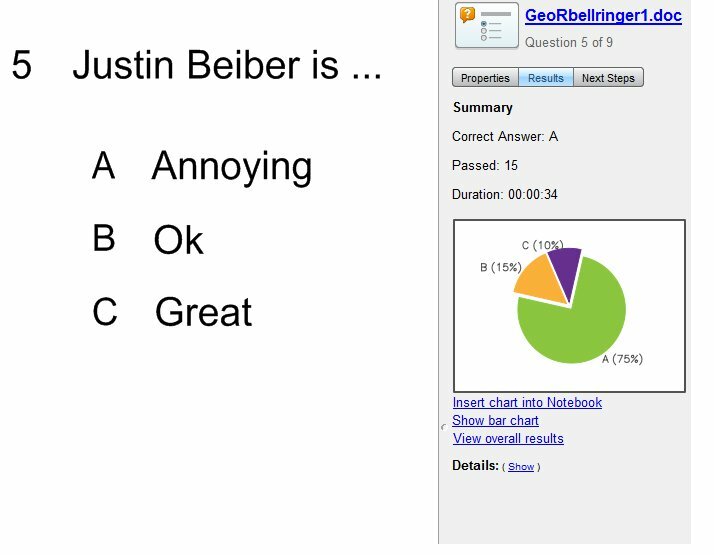 I’m pleased that 75% of the students got the most important question of the assessment correct. Wait, don’t you mean to say “C” was the right answer? Hey at least you agree with 10% of the students! 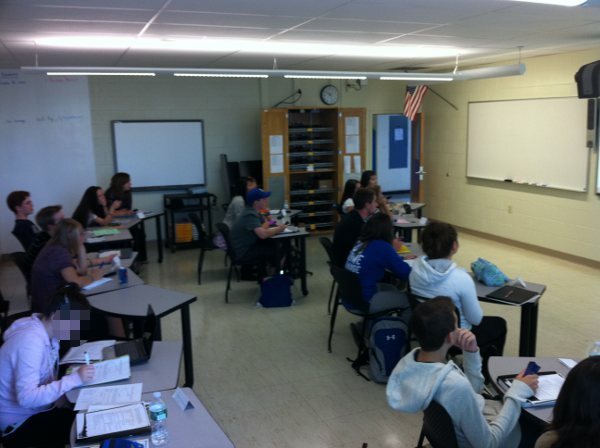 I was wondering: How long did it take for the students to become independent with the clickers? Independent how? They could easily login and figure it out. Very few questions on what to do, or how to do it.